A blender is a useful kitchen appliance to own because it is versatile and allows you to make many different things. However, the noise of a blender can be loud which may also hinder its use. There are two ways a manufacturer can reduce the noise level produced by a blender. They can dampen the sound that is coming from the motor housing or they can seal the blender jar in a plastic enclosure. Some manufacturers take it one step further and do both things to further reduce the sound. Blenders are great for making smoothies in the morning when you are on the go but don’t want to skip breakfast. But sometimes there are people in the home that may not get up as early as you do or you have a baby trying to nap and this will stop you from using the blender. A quiet blender can reduce the noise level greatly and will not disturb others in the home. Keep in mind that a quiet blender will not be able to completely silence the sound of a blender, it can only help to dampen the sound. Using lower power and keeping the speed of a blender lower when it is in use are a couple of other ways you can help reduce the sound. 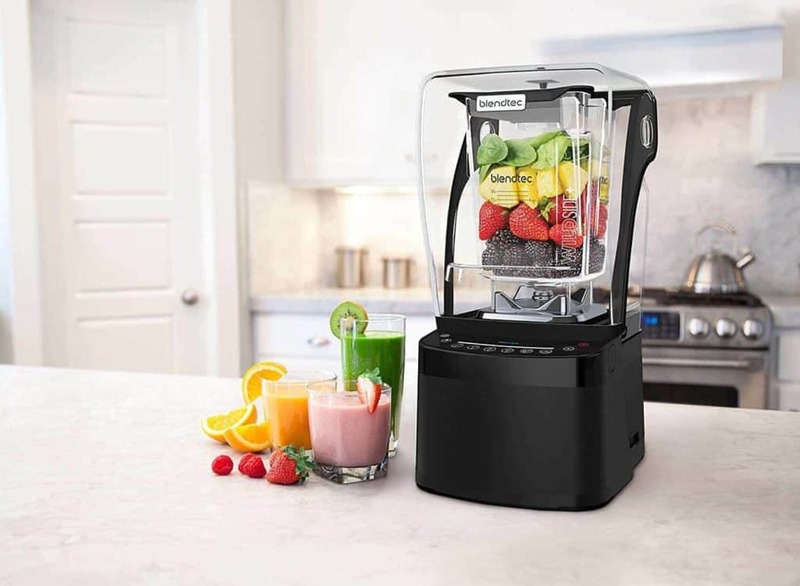 Blenders come equipped with several distinct functions and are most commonly used to make smoothies and other frozen drinks which means it should have the power and ability to crush frozen fruit and ice. Ice crushing blades can usually be found in full-size blender models and low powered personal blenders. When looking for the ideal blender for your household, consider the needs of the blender and what you will be using it for. This will help determine how much power you need and if any attachments or accessories would help. 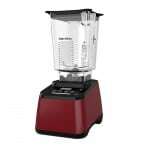 The price of the blender will depend on the number of features it includes as well as how much power it has. The more features it has, the higher the price tag will be. Motor Size: for a blender, one of the more important aspects would be the size of the motor and how powerful it is. To be able to successfully crush ice and other frozen ingredients, you will need a strong motor that can handle it without overheating the blender in the process. An average kitchen blender comes in around 300 and 600 watts, but a better performing blender will be around 1300 watts. Pulse Feature: this feature is also helpful if you plan on making a lot of smoothies and other frozen drinks because it allows you to be able to stop and mix harder to crush ingredients before you start the motor up again. Though we all want the quietest blender around, our budget might not always allow for it. While purchasing a quiet blender is the first step, there are also other simple tips and tricks you can follow to help reduce the blender’s noise level. Moving the blender away from the wall at least two inches can help control the noise levels because the sound will no longer be bouncing off the walls in the enclosed space. When it is in use, set it on the middle part of the counter, away from the walls, and this will help to reduce the volume. Using a dish towel or a silicone mat when the blender is in use is another way to help dampen the sound. The towel or mat will help absorb some of the sound from the blender instead of echoing off the countertop. Finally, there are also sound enclosures you can purchase separately for your blender to help reduce the sound. for blenders can fit several models including Blendtec, Omni, KitchenAid, and others. Using the sound enclosure while blending can help reduce the noise level by approximately 80% and it is made from a durable and tough polycarbonate material so it will not break. It also has a non-slip rubber base to help keep it securely in place. While the reviews may be a little sparse, it has been reported that the sound enclosure will, in fact, help reduce the noise levels. However, it isn’t reduced as much as you would expect. Again, quiet blenders and sound enclosures will not completely eliminate the noise, but it will definitely take the edge off it while blending, so it isn’t as loud and disruptive. Jamba Appliances Quiet Shield Blender boasts of being significantly quieter than the majority of its competitors. It has a sound enclosure over the blender to help dampen and reduce the noise level while blending. The components are also dishwasher safe and it comes with additional accessories. It features a 1.6 peak horsepower motor that can easily crush ice and other frozen ingredients and the seemingly infinite speed control comes equipped with a pulse setting. 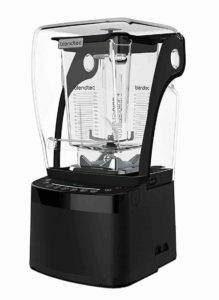 The Blendtec Pro 800 Blender is one of the world’s quietest blenders and operates at a lower sound level without sacrificing in terms of power and ability. It features an illuminated touch interface and has six preprogrammed cycles that are useful when making a variety of things including batters, mixed drinks, smoothies, and other frozen drinks. It also comes with a WildSide jar with a vented gripper lid and a recipe book and guide so you can get started. 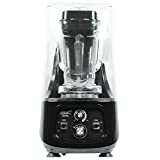 Hamilton Beach Professional Quiet Shield Blender packs 1500 watts of power and has been found to be significantly quieter than other blender models. It has four different program settings that are useful when making smoothies, crushing ice, and pureeing and it allows for easy and convenient one-touch cleanup. It has a 2.0 peak horsepower motor that can reach speeds of over 105 mph and also has a variable speed dial so that you can better control the blending process. Vitamix Quiet One Blender is one of the higher priced blenders but does offer a quiet, reliable, and powerful commercial quality blender. It uses a sound enclosure to help dampen the noise, and the enclosure is kept in place with magnets which helps to create an even better seal. It is much larger and heavier than other Vitamix blenders. Black and Decker PowerCrush Digital Quiet Blender utilizes new quiet technology that helps to greatly reduce the noise the blender makes. It has 4-Tip Quad Pro Blade technology and a powerful 900-watt motor so it can tackle just about anything in the kitchen. It comes with accessories including a personal plastic jar for smoothies on the go and it is backed by a 2-year limited warranty. New Age Living Quiet Series Blender with Shield may not be as well-known as the other brands mentioned, but it still greatly helps to reduce the noise from the blender because of the sound enclosure that is included. The enclosure, or shield, is built into the blender to help reduce the noise without sacrificing any power. It has a 3.5 HP peak motor and the blades can spin up to 35,000 rpm so you are getting a high-quality blend and superior performance with each use. While each one of these blenders boasts of being quieter than their competition, which one actually does as it promises? They all claim to reduce noise levels by up to 40%, but I am finding that the greatest success can be seen with the Jamba blender as well as the New Age Living blender. They both come with high-quality features, great warranties, and have little to no problems. They are in the mid-price range, so they are still affordable as well. However, the Jamba blender comes with additional accessories while the New Age Living Quiet Series Blender does not. It ultimately comes down to how much power you need from your blender and the additional features you want. The New Age Living Blender is a bit more powerful overall and has additional features that we have not seen with the other quiet blenders such as the 0–5-minute timer and the redesigned blender feet to help reduce vibrations when it is in use. Purchasing any of these blenders will award your household with improved peace and quiet and you will no longer have to wait until everyone is up in the morning or blend what you need the night before. You will be able to blend your favorite fresh ingredients in the morning without disturbing anyone so you can have that nutritious and delicious breakfast in the morning on the go without having to skip it altogether. Also keep in mind that if you do not want to purchase an entirely new blender for the quiet technology, there is a sound enclosure that can be purchased separately and it will fit most of the blender models mentioned in this review. No sound enclosure will completely eliminate the noise from the blender, but you will definitely notice a very big difference between the normal and loud operation and the reduced noise operation of one of the quiet blenders.